Can I be fired for being blind? Our employment lawyers believe that everyone is entitled to make a living, regardless of any conditions or disabilities that one may have. This includes disabilities with respect to vision. Vision is not something that everyone is granted. Some people are born blind, and others lose it through some degenerative disease or unfortunate accident, and it, unfortunately, affects their employment. Employers may assume that because that worker has lost their sense of sight, they are going to effectively be useless – as far as the employee’s ability to do work is concerned. This assumption may lead employers to terminate blind employees. But while sight may play an important factor in one’s ability to perform the essential job functions of an occupation, it does not mean that every occupation requires sight to complete. And because of this fact, it is unlawful for employers to dismiss blind employees merely because they cannot see. The Americans with Disabilities Act does not allow employers to discriminate against employees with a disability. Additionally, it does not allow for employers and employees to harass the employee regarding their ailment. It forces employers to focus on two things when regarding an employee: their qualifications for the job and their ability to perform the essential job functions, with or without reasonable accommodation. If the employee requires reasonable accommodation to fulfill their essential job duties, then the employer is required by law to provide the necessary accommodation in order to help that employee be successful at their job. Our attorneys are here to ensure that your rights are not infringed upon if you are either losing your sight or have already lost it. We help people like you every single day know their employment rights if they feel like they have been discriminated against because of their disability. If you believe that you have been discriminated against because of your blindness or visual impairment, you may have the grounds to file a lawsuit against your employer. Here are a few things you need to know regarding your rights and the laws that exist to protect you. What Laws Exist to Help the Blind? The Americans with Disabilities Act (ADA) of 1990 is the federal law which prevents employers from discriminating against disabilities that employees may have. The term, “disability,” is fairly broad and encapsulates much in order to give people the best protections against discrimination. To be considered disabled under the ADA, or to have its protection under the law, you must have a physical or mental condition that substantially limits one or more major life activity, have a record of such impairment in the past, or having been perceived as having such impairment. So for example, your employer cannot assume you have a disability and discipline/terminate you for that assumption. Doing so is a violation of the ADA. If such happens, you can hire a lawyer to sue your employer for the discrimination. The ability to see is considered a major life function as it the majority of humans’ primary sense organ. If you are blind or have some other visual impairment, you are protected under the ADA. Being protected means that your employer cannot discriminate against you – whether you be an applicant or employee. Employers cannot overlook you for any promotion, raise, benefits, or any other terms/conditions simply because of your visual impairment. If you are qualified, perform well, and can do the essential job functions (with or without reasonable accommodation), your employer must consider your merit under equal weight as anyone else who is being considered for the same promotion. Employers cannot assume that you need assistance in the workplace if you have a disability – this aid is called “reasonable accommodation.” Reasonable accommodation is changes to the workplace or schedule in order to better accommodate the disabled individual. To receive reasonable accommodation, you must request it to your employer. Your employer cannot legally refuse to provide reasonable accommodation. For example, if you work in a cubicle in front of a computer all day and are blind, you may require special text-to-speech software in order to give you the ability to continue your work. The only way an employer can refuse to provide reasonable accommodation is if they can prove that doing so would cause an undue hardship in the company – smaller businesses with very limited resources are more commonly exempt than corporations. And while the employer cannot assume you need reasonable accommodation, they can ask questions if visual impairment is a possibility. Medical examinations may also be required if the employer believes the employee’s safety will be at-risk when they return. If you believe that your employer violated the law and discriminated against you for being blind or visually impaired, you may have the grounds to file a lawsuit against them and collect compensatory damages. Before you sue your employer, though, you must first file a charge with an employment government agency. There are two available to workers in California. At the federal level, there exists the Equal Employment Opportunity Commission (EEOC), which enforces the ADA. 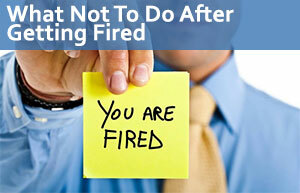 Under the EEOC, you have 180 days to file a charge from the day you received discrimination. If the discrimination/harassment is ongoing, you have 180 calendar days from the last day you received discrimination. California has state legislature which does not allow employers to discriminate against the disabled. It’s called the Department of Fair Employment & housing. Because both state and federal laws do not allow disability discrimination, the deadline to file a charge against the government agency is extended to 300 calendar days. Once you file, you will receive a “right-to-sue” letter which gives employees the right to properly sue their employer. It is recommended you only request the letter once you are prepared to go to court as you will only have 90 days from the day you received the letter to take action. The California Labor Law Employment Attorneys Group is here for you. If you are blind and were discriminated against, you have the right to seek justice for your employer’s disregard of the law. Our Los Angeles lawyers practice in the entire state of California – so no matter where in California you’re located, in Los Angeles or outside Los Angeles, we can help you. We offer free consultations and a zero-fee guarantee; all the financial risk is removed from you and transferred to us because if we don’t win your case, you don’t pay for our services. If we do win, we only collect a small fee on the amount collected. Call us today!